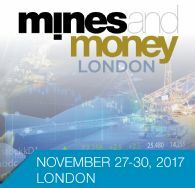 Revolution Metals CEO Tim Mckinnon is Interviewed by Marcus Lake on the new VANTA XRF Scanner at the International Mining and Resources Conference (IMARC) 2017. 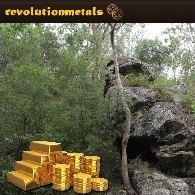 Revolution Metals Ltd has acquired the latest IP64 rated XRF scanner from Olympus. The new "VANTA" handheld XRF scanner can simultaneously log samples in the field while also logging the location wirelessly via GPS. 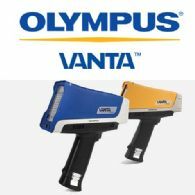 Olympus representative, Marcus Lake, is interviewed at Diggers and Dealers 2017 over the Vanta XRF handheld scanner. The first three production units of Olympus Corp&apos;s (TYO:7733) (OTCMKTS:OCPNY) new Vanta portable X-ray fluorescence (XRF) analyzer have been sold to CSIRO. CSIRO is a leader in portable XRF application development and research and is committed to using the latest in portable XRF technology. Olympus Innov-X Systems&apos; Director of Sales Andrew Somers talks to ABN Newswire at the Resources and Energy Symposium in Broken Hill about current Innov-X activities surrounding integration of products into industry standard systems and the research and development activities. VIDEO: RIO, BHP, Perilya, Where the Bloody Hell Were You? 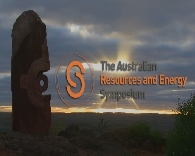 Last week in Broken Hill, an Australian mining town for the last 128 years, a band of dedicated miners and explorers got together for the inaugural Resources and Energy Symposium, a conference and seminar showcasing Australia&apos;s mining talent, new and old. As the demand for commodities ramps up, new mines and exploration projects are presented for a wide range of commodities including Iron Ore, Cobalt and Tungsten.